The Ockbrook and Borrowash Historical and Archaeological Society was founded in April, 1986 as the result of a News Letter circulated by one of the local voluntary organisations. On 5th July 2012, at Derby’s Pride Park football ground; an interesting residence was auctioned by Penney’s at a guide price of £150,000. Unexamined Lives would like to hear from any descendants of World War One hero, Maurice D.G. Scott, whose name appears on the Ockbrook War Memorial. Captain Scott’s WW1 service was extremely distinguished and following an initial spell in the infantry, he transferred to aviation in February 1916. He subsequently served with three different squadrons, both as an aerial observer and a pilot and was credited with 12 official victories during his tenure in the Royal Flying Corps. One of the contacts through the Society’s website asked about a family living at Bloso Fields in the 1920s. This prompted some research on this house on Victoria Avenue just north of Deans Drive. The old house is now divided into three homes. Borrowash Junior was the first school I taught at after graduating. I was Miss Malpas in those days. I taught Second Year Juniors. From September 1969 to July 1970 I taught in the main school building. There is evidence of human activity in Ockbrook as far back as 10000 BC (the Mesolithic) in the form of two bifacial cores of flint. A small greenstone axe head attests to Neolithic activity. There is no direct evidence from the Bronze Age . The dead of World War One are commemorated on three War Memorials in the village:. 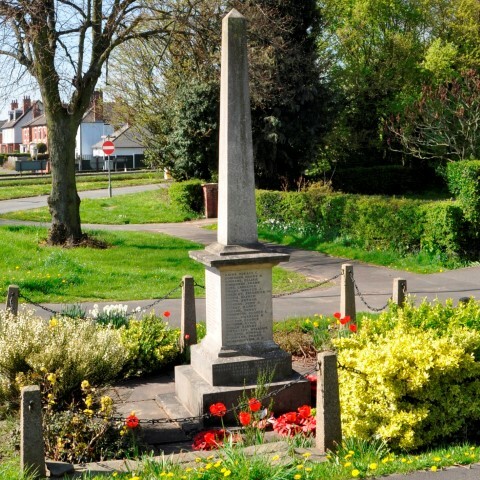 The Ockbrook and Borrowash War Memorial, situated on Victoria Avenue between the two villages, has four faces which list 82 local people (81 men and one woman) who died in World War One. The Memorial inside the Borrowash Methodist Church on Derby Road commemorates 24 people. One of these is not listed on the main Memorial. The Memorial from the now-closed Primitive Methodist chapel in Victoria Avenue is now located in the Derby Road church and commemorates 12 people. Three of these are not listed on the main Memorial.